If the past is truly prologue as the adage foretells, then West Valley Water District ratepayers may soon be on the hook for another civil settlement. Over the last couple of years, the water agency has paid thousand of dollars in civil settlements and lawyer fees purportedly as the result of weak leadership and poor personnel-related decisions. Unfortunately, what some have described as the wanton pillaging of ratepayer dollars appears not to be over yet. 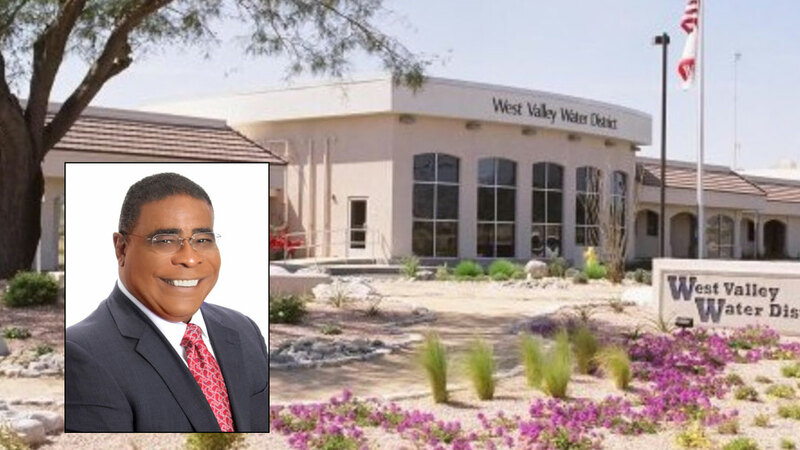 In mid-February, former West Valley Water District (WVWD) interim General Manager Matthew Litchfield, filed a complaint against WVWD et al with the Civil Division of the Superior Court of San Bernardino. All of this was allegedly triggered by his steadfastness in opposing the alleged misuse of water (public) agency funds and various violations of the California Water Code as it relates to the authority of the WVWD Board of Directors/General Manager, and finally, for disclosing information about working conditions at the agency. Litchfield cited several examples of the alleged misuse that began when he assumed the role of Interim General Manager for the agency in July 2016 and former Board President Dr. Clifford Young purportedly gave him a “hit list” of employees he wanted Litchfield to fire. Litchfield claims when he protested to C. Young that employees could not simply be fired based on his wishes and that terminations must occur in accordance with WVWD policies and due process principles. This issue may eventually become an even bigger problem for Young. In a separate civil case involving a different employee, Young purportedly lied when asked about the “hit list.” He claimed it was Litchfield who prepared the list. In a different scenario, Young attempted to pressure Litchfield into hiring one of Young’s friends and political supporters, Robert Christman, for the position of Chief Financial Officer even though Christman was not the most qualified candidate. Litchfield claims Young made it clear to him there was a price to be paid for not hiring him. When Litchfield refused, Dr. Young made it clear to him that he would pay a price for not hiring his buddy. This was not the only alleged threat. In March 2017, Litchfield said he received a “profanity laced phone call” from Young who was upset that he had failed to reschedule a board meeting Young wanted moved to a different date. Litchfield said he did not reschedule the March 17, 2017 meeting because most board members wanted it to remain on the calendar as scheduled. Litchfield was threatened again later that same month, this time by WVWD legal counsel, Robert Tafoya. Tafoya was upset that Litchfield had placed an evaluation of his law firm, Tafoya & Garcia, on the April 6th Board agenda for review/discussion. Tafoya claimed Litchfield was not authorized to make such decisions. Tafoya’s verbal critique did not end discussions on this issue. That same day, Young came to Litchfield’s office unannounced and declared, “[he] would be lashing out,” at Litchfield over the process used for setting the April 6, 2017 agenda. Subsequently, Litchfield received an email from Young which stated in part that if he proceeded with the evaluation of the Tafoya & Garcia law firm, he [Litchfield] would be performing an act of insubordination. The agenda however, remained unchanged at the behest of the board’s majority. In another purported incident, Young threatened to retaliate against Litchfield for pursuing reimbursement on behalf of WVWD for printer supplies Young had purchased for his personal use at the expense of the water district. Young never reimbursed WVWD for the expense. To many critics, Young’s penchant for bullying seems unlimited. In another example cited, Young attempted to bully Litchfield into rehiring a political supporter and neighbor who had been released from probationary employment with WVWD for poor performance. When another director challenged Young for giving Litchfield such a reaming about the issue, Young retorted, “He deserves more than a reaming!” Litchfield held firm and refused to reinstate the employee. By late November 2017, Litchfield had apparently experienced enough. He penned a letter to the WVWD’s General Counsel Michael Davis. In it, he protested and expressed his opposition to what he described as “the unlawful conduct of the District and its employees.” The following week he provided the counsel with declarations and supporting documentation from other WVWD employees detailing incidents of alleged financial misfeasance by C. Young. Davis, in turn, forwarded the information to the board of directors and at the same time, advised them that Litchfield was entitled to Whistle Blower Protection under Article 9 of the District’s Code of Ethics/Board Conduct Policies and all other applicable laws. In response, the WVWD hired an attorney—and in clear violation of the California Rules of Professional Conduct—the attorney and WVWD supposedly tried to force Litchfield to be interviewed by the attorney without his own lawyer present even though they were aware he was being represented by counsel. Litchfield’s attorney protested what he claimed was the unethical conduct of the WVWD and its lawyer. Last February, Litchfield did sit down for an interview with an attorney WVWD hired to act as an independent investigator. Litchfield claimed he was repeatedly threatened by Young from July 12, 2017 to December 11, 2018. He claimed Young made it known to him and others that he wanted to build a case to fire Litchfield. One of the ways he sought to facilitate this was by partnering with board member Greg Young to give Litchfield poor performance ratings on his evaluations. For more than a year, between October 2017 and December 11, 2017, Litchfield said he was the target of C. Young’s “many violent, profanity-laced outbursts’ because of his [Litchfield’s] opposition to what he described as unlawful conduct. According to Litchfield, his time with WVWD took a further turn for the worse beginning December 11, 2017, when he was relieved of all his duties, barred from coming to the district office, instructed to surrender all WVWD property in his possession, and was prohibited from contacting any WVWD employees. During his time in the “wilderness,” Litchfield was replaced as General Manager, he was never given any feedback about what was discovered in what he called the “sham” investigation, and apparently, there was never any action taken by the WVWD over the information provided by him and others regarding the malfeasance of WVWD and C. Young. After being forced into “professional exile” for nearly four months, Litchfield acknowledged he was left with few alternatives—he chose to resign effective April 11, 2018. Litchfield was not the only one caught in the WVWD crosshairs on December 11, 2017. That day and again on Tuesday, December 12, by a four to one vote, the WVWD Board of Directors also suspended or placed on administrative leave Assistant General Manager Greg Gage, Human Resources Manager Karen Logue and Board Secretary, Shanae Smith. In addition, Chief Financial Officer Marie Ricci was terminated. Several of these individuals have since, successfully settled lawsuits against WVWD at the ratepayers’ expense. Also, although Litchfield refused to hire Robert Christman as Chief Financial Officer at C. Young’s demand, with Litchfield out of the way, Christman was hired. Interestingly, and in what some might consider a perverse twist of fate, he was hired to fill Litchfield’s job as interim general manager. Christman’s career with WVWD was short-lived. Last July, ratepayers learned Christman too was professionally exiled and eventually resigned—he reportedly decided on his own to retire. The IE Voice made several requests for comment from the WVWD regarding the Litchfield charges, but the agency failed to respond. A trial setting conference regarding Litchfield’s civil case is scheduled for Tuesday, August 13.